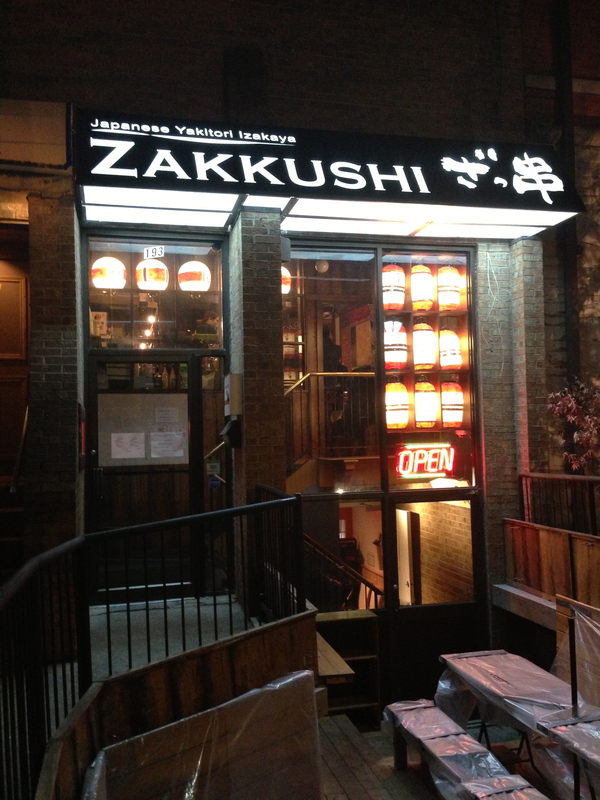 So a teammate on my dragon boat team, coincidentally a foodie also, recommended Zakkushi to me, claiming it to be one of the best sushi places in Toronto. Of course, being Japanese and the fact that there are not that many Japanese owned restaurants in town (although we’ve had an influx of them lately), I had to try it out. Well, if you want authenticity, Zakkushi definitely delivers. You won’t find California rolls or dragon rolls here. 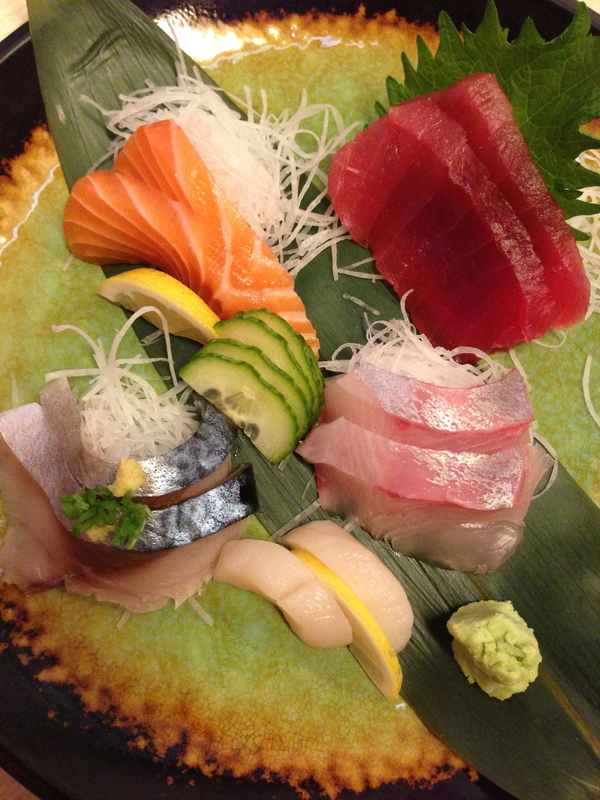 It is strictly traditional dishes and traditional fish available as sashimi or nigiri sushi and in Japanese portion sizes. So if its quantity you’re looking for, I would stick with the all-you-can-eat places but if its quality, Zakkushi comes close. One of my favourite dishes that night was the special marinated beef nigiri topped with grated ginger, green onion and accompanied with a soy dipping sauce – so tender, served a bit warm and a touch of soy, delicious. 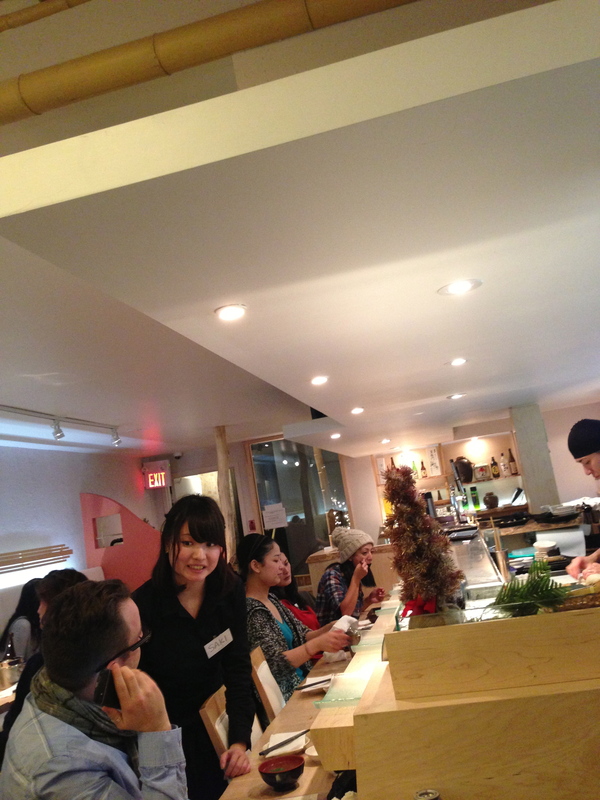 Above the sushi bar is the yakitori izakaya – I haven’t had a chance to go yet but it is on my hit list. The Zakkushi sushi bar located on the lower level. 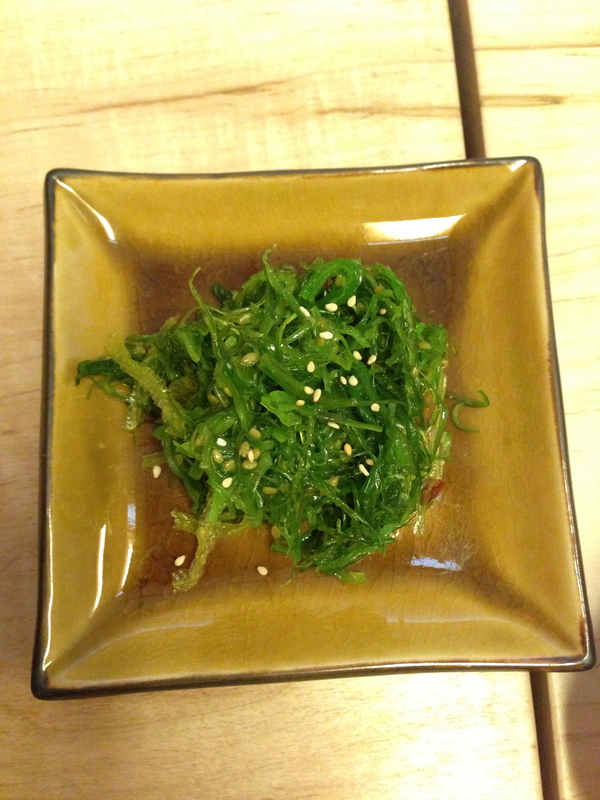 Kaiso – marinated seaweed and sesame seeds. 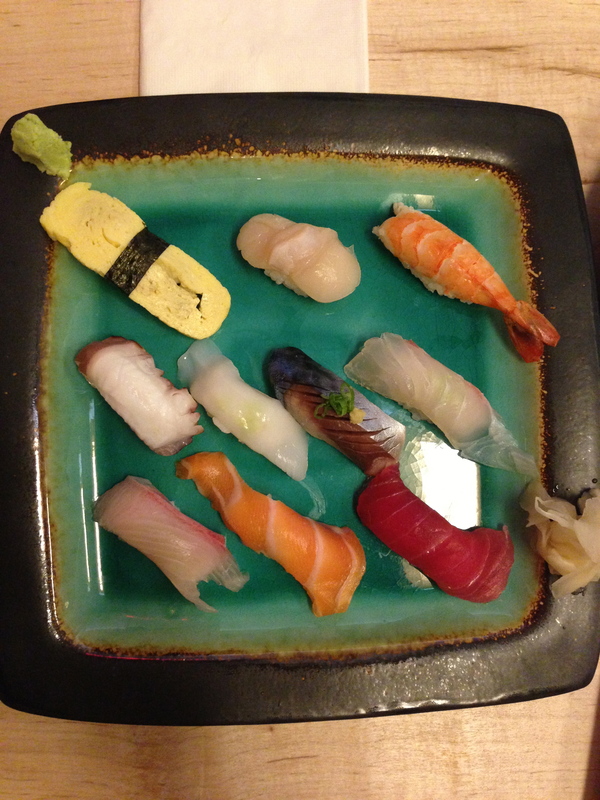 Omakase 5 types of sashimi platter. 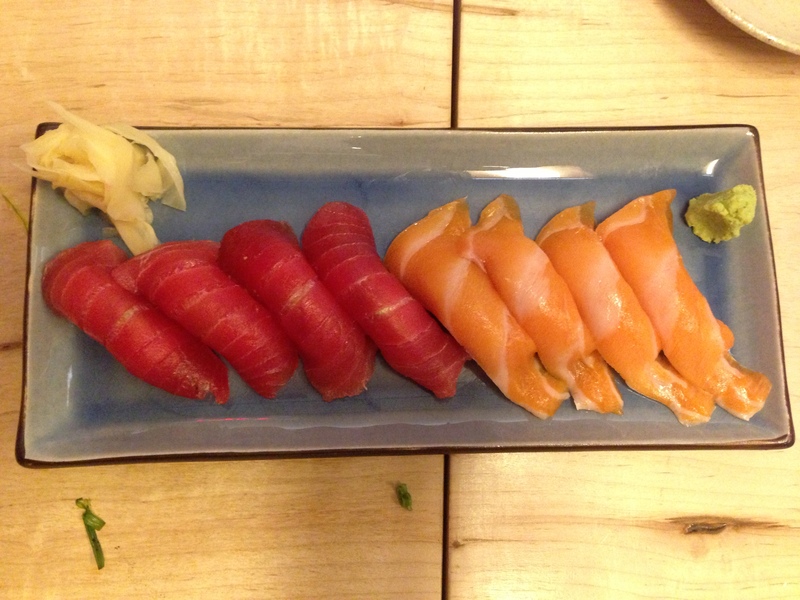 Blue Fin belly and salmon nigiri. 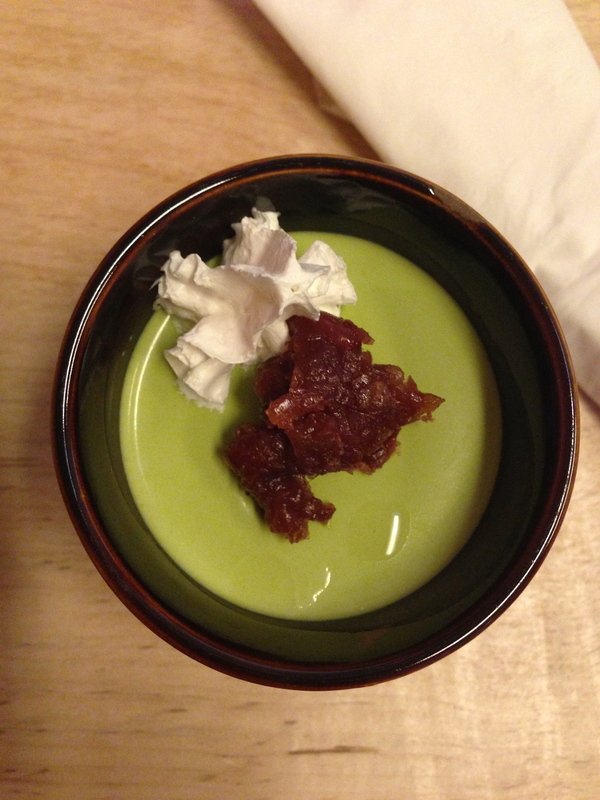 Dessert – green tea panna cotta. 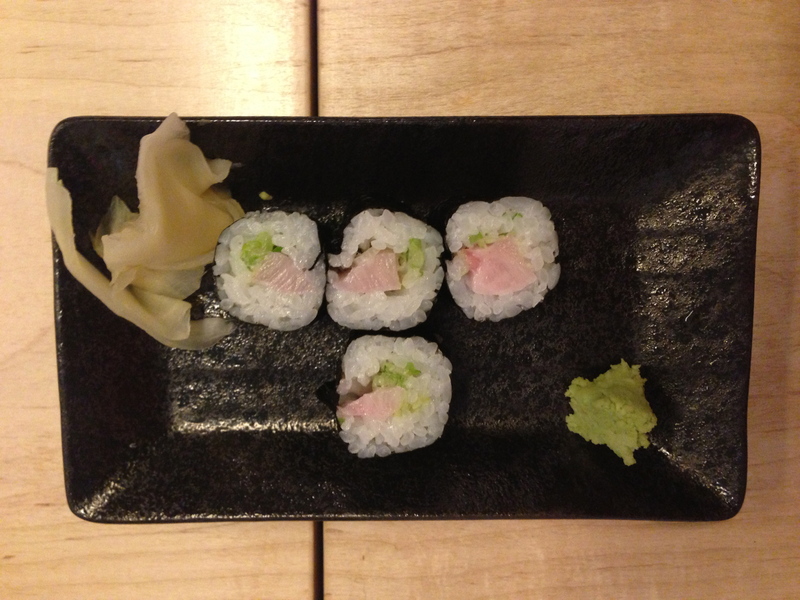 Tuna belly and green onion sushi roll. 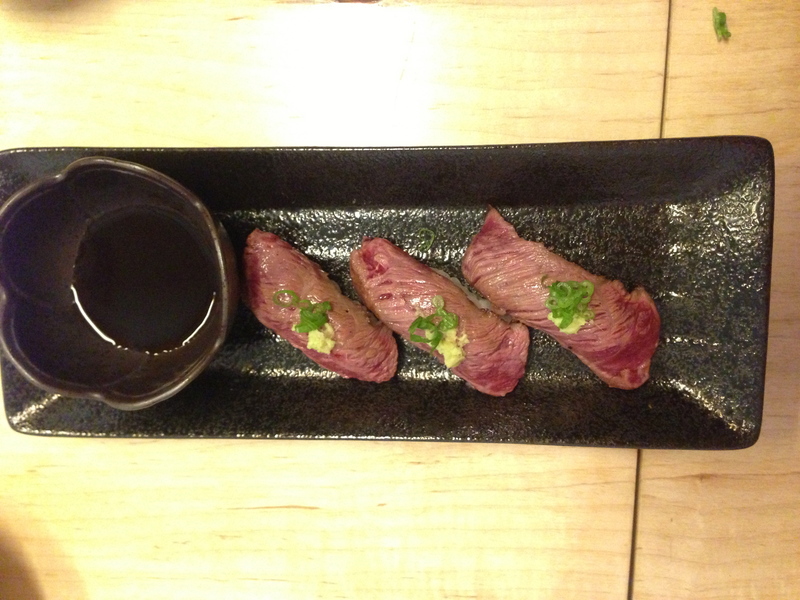 The special for the night – marinated beef nigiri with green onion and ginger.